If someone told you that the entire universe existed inside a giant hollow sphere with the sun at the center and a centrifugal force holding us in place…and oh yeah — do you want to join my fledgling settlement in the hot, humid, bug-infested wilderness of Florida — would you fall for it? Ummm, yeah, me neither. 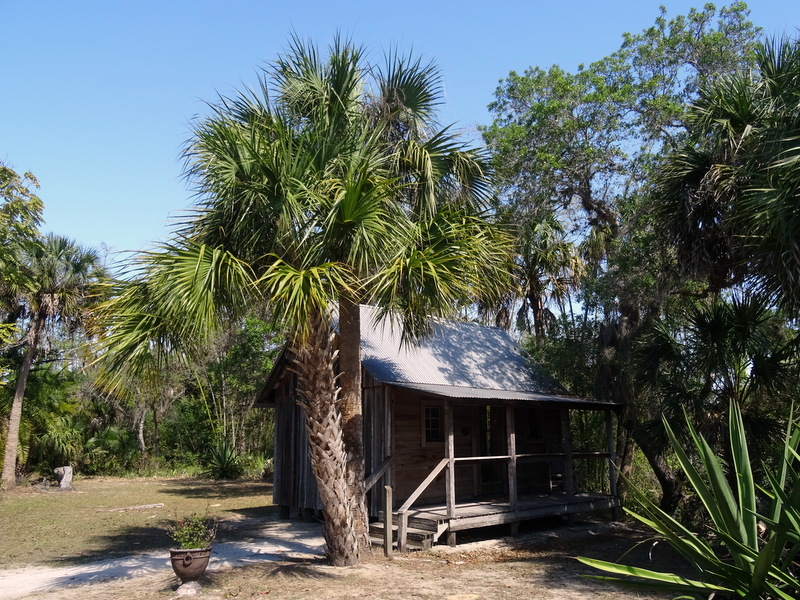 Apparently, there were enough people willing to go along with it that the founder of the Koreshan Unity, Dr. Cyrus Teed, was able to form a cult (oh sorry…utopian community) that grew to around 250 residents in the late 1800s. 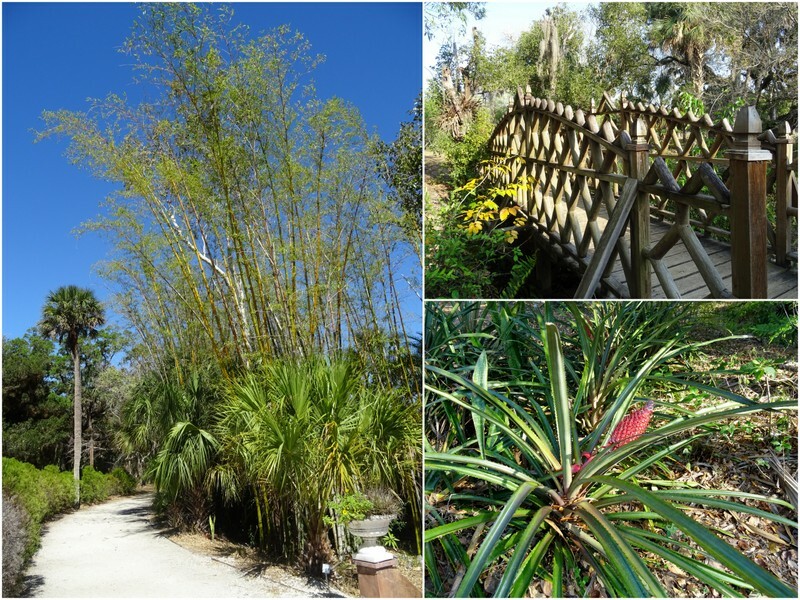 Today, the former community is home to Koreshan State Park. Sprawling along the Estero River, the park offers a glimpse into the Koreshan way of life with restored buildings and remnants of lush gardens and exotic bamboo forests. 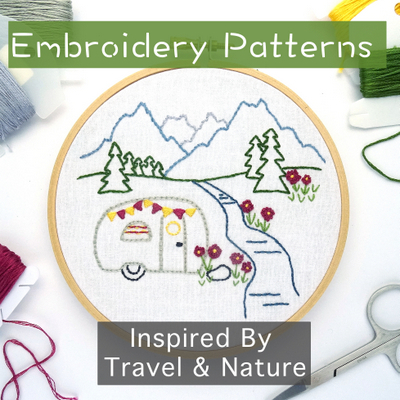 It’s a stark and welcome contrast to the bustling six-lane road lined with endless box stores and cookie cutter developments that populate the area immediately outside the park. 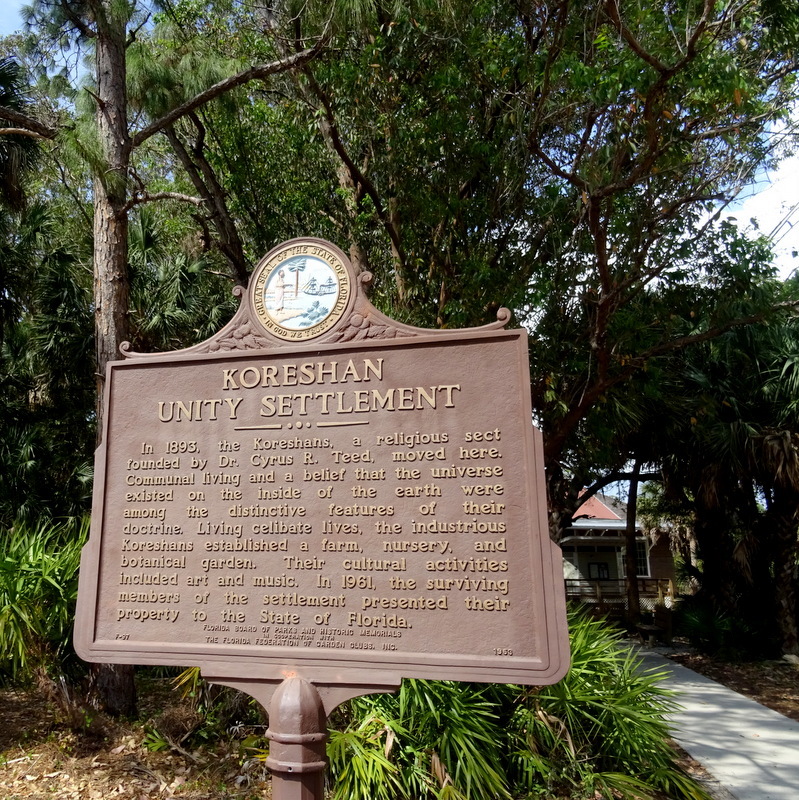 A self-guided walking tour of the grounds and buildings tells the story of the how the Koreshan Unity began, along with personal stories of the members and what brought them to this former wilderness in an unfamiliar land. 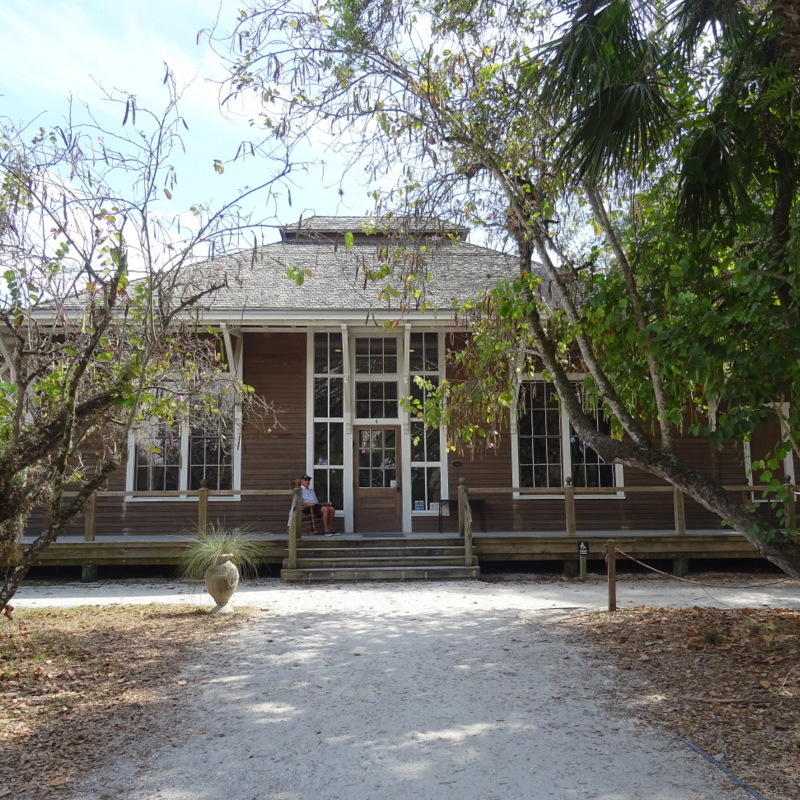 The Damkohler House was the only structure when Dr. Teed first arrived in Estero in 1894. It was owned by a German settler who donated it and his land to the community shortly after learning about Koreshanity and becoming convinced that it would become a “great religion.” Dr. Teed must have been one charming man. The Koreshans were an industrious group who believed education and productivity were the keys to a happy and successful life. The members operated a bakery, sawmill, printing facility, and even a restaurant and hotel along the main road. While there is no doubt that the Koreshans had some wacky beliefs, in certain aspects their community was incredibly forward thinking. 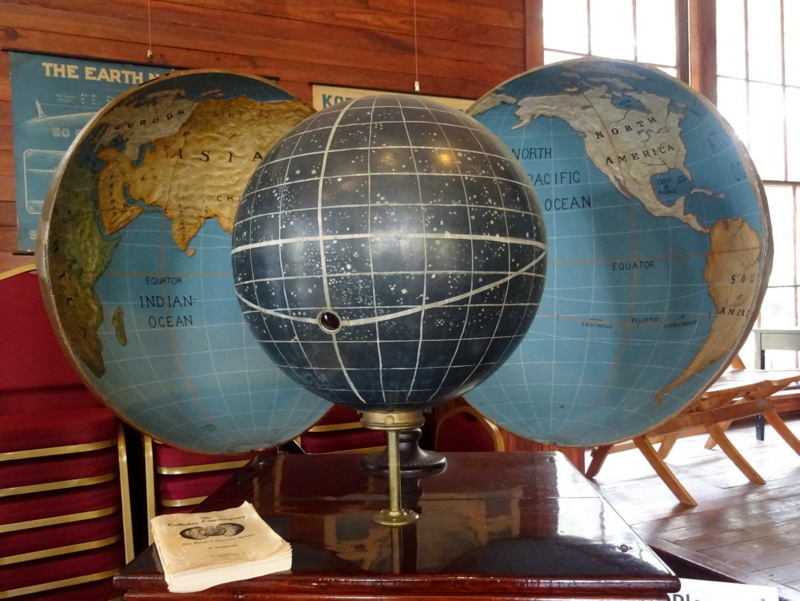 Take, for example, the governing council called the Planetary Chamber which was comprised of seven women. The sisters of the Planetary Court, as they were called, lived in this three-story home where each person had a separate room that could be entered from the central hall or the outside wrap around porch. The sisters came from all different backgrounds and conducted the day-to-day business of the settlement. In addition to communal living and their “hollow earth” principle, the Koreshans also believed in celibacy, which naturally limited a key form of community growth. In 1908, Teed died, and after leaving him in the bathtub awaiting reincarnation for nearly a week, the authorities forced his followers to bury him. This was the beginning of the end for the Koreshan Unity Settlement. Amazingly, it survived more than 50 years past his death, but with dwindling numbers and not much in the way of development. In the early ’60s with only a handful of members left, the land was deeded to the state of Florida. It makes you wonder what Dr. Teed would think of his “utopia” now turned into a living museum owned by the very same bureaucratic system that he tried so hard to create a separate world from. At least it got spared the fate of becoming a strip mall. 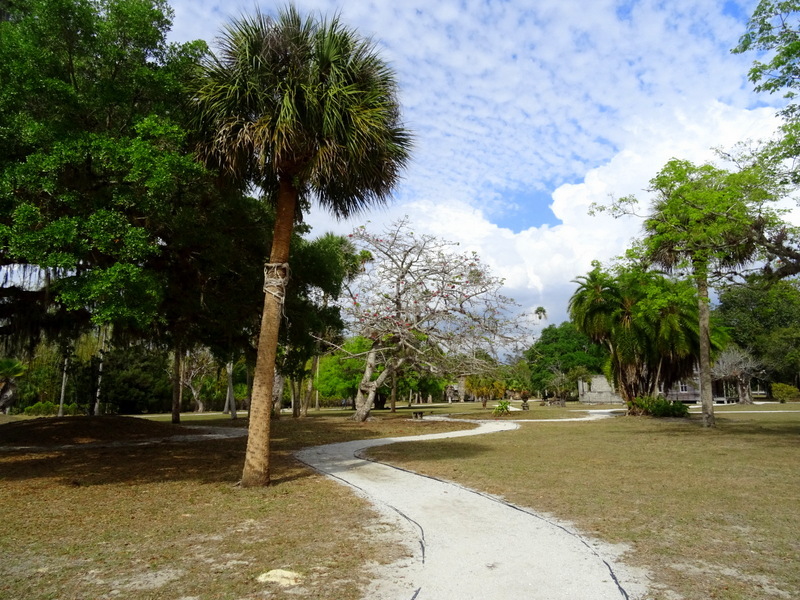 Aside from the historic community, Koreshan State Park has a campground, shaded picnic area, a few walking trails along the river, and a boat launch. The campground itself falls firmly in the mediocre range. The sites we on the small side with lots of deep sand and scrubby looking pine trees. I suspect that my so-so feeling was highly influenced by the unbearable heat that we suffered through for most of the week. With temperatures in the low 90s and the humidity up in the “I might go crazy” range, let’s just say that our A/C got a good work out. Our little slice of sand — this photo was taken at the end of the week when it finally cooled down enough to open the windows and door. One afternoon we cooled down with a short paddle in the Estero River. I hate to sound so negative, but I fear that all the kayaking we did in the Keys has forever spoiled us. A far cry from the turquoise waters we’ve become so accustomed to, the Estero was instead a murky brown river lined with houses and populated with speed boats that had us sticking close to shore in an effort not to get run down. The river twists and turns all the way to the ocean, but it’s about 4.5 miles each way which is far too long for us to paddle in the late afternoon without risking coming home in the dark. It also simply wasn’t interesting enough to go more than a few miles in either direction. By far the highlight of our week was spending time with fellow full-timers, Paul and Lorena. 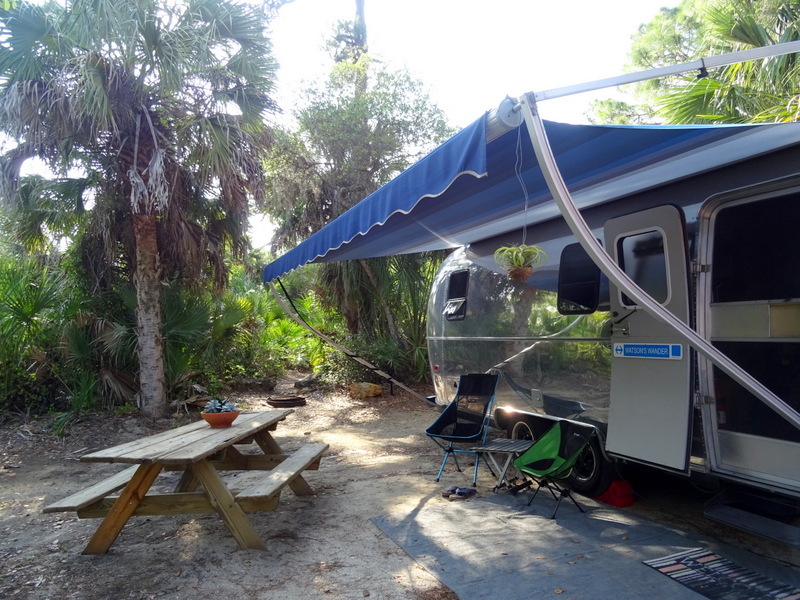 This dynamic duo is fairly new to RVing and after learning about them from some friends who they had recently met, we were excited to discover that we were due to arrive at Koreshan on the same day! 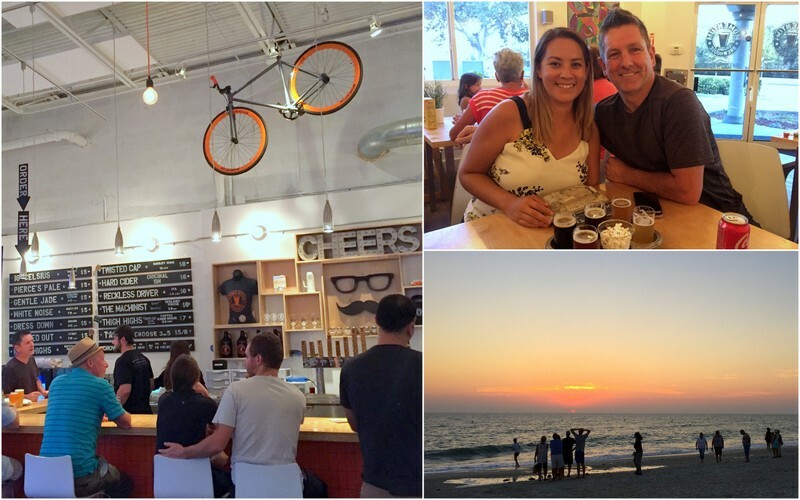 After our initial meeting over an extended happy hour at our site, we quickly made plans to hang out again which led us to a brewery visit followed by sunset on the beach and an impromptu dinner at a beachside dive. Sadly, we are going in opposite directions as they headed to the Keys for a few days while we continued north. Hope to see you guys again! Oh! I almost forgot the other best part of our stay at Koershan State Park. While searching for local farmers markets, I came across a nearby farm stand. 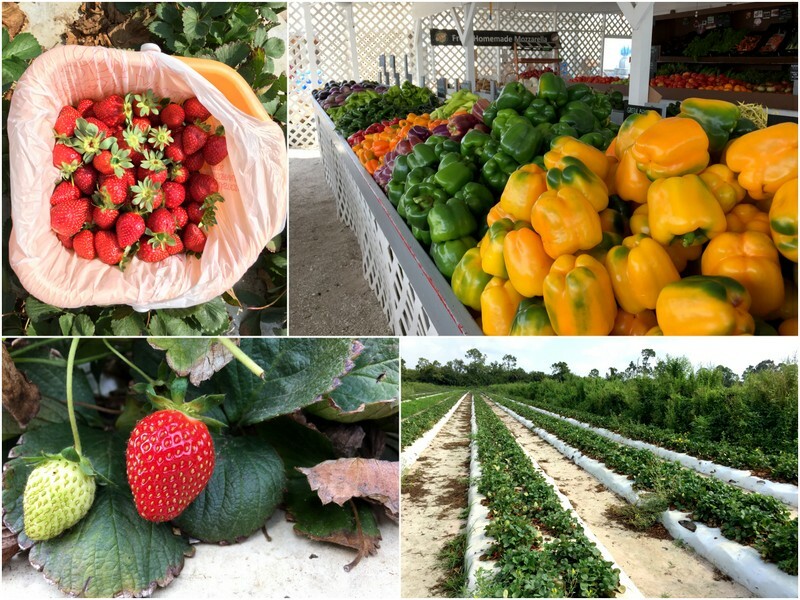 Not only did they have a bounty of fresh fruits and veggies for sale, but they also had pick-your-own strawberries and sunflowers! 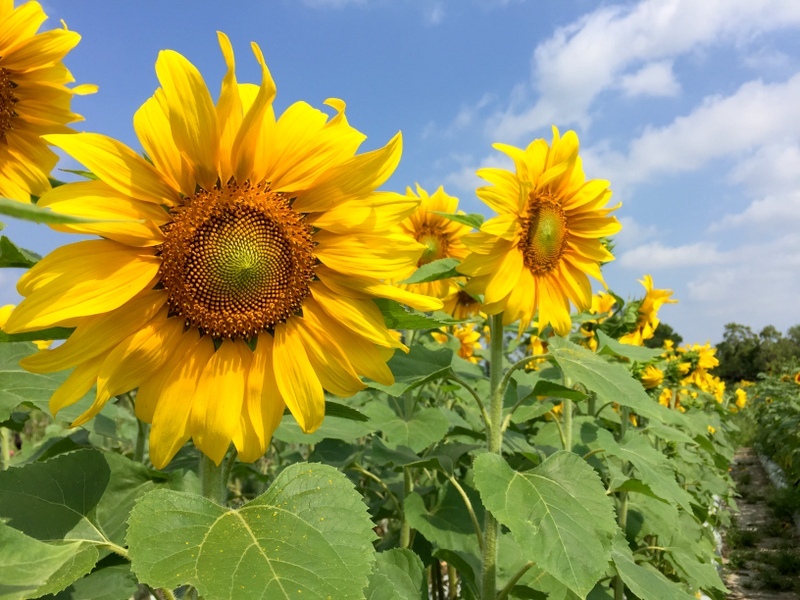 Sunny sunflowers at the beginning of April! It was the very end of strawberry season, and with the heat moving in fast the berries were on their way out, but I still managed to find enough to fill a big bucket. This year marks our fifth year away from “real” winter and I still can’t get over the novelty of having access to fresh produce all year long. 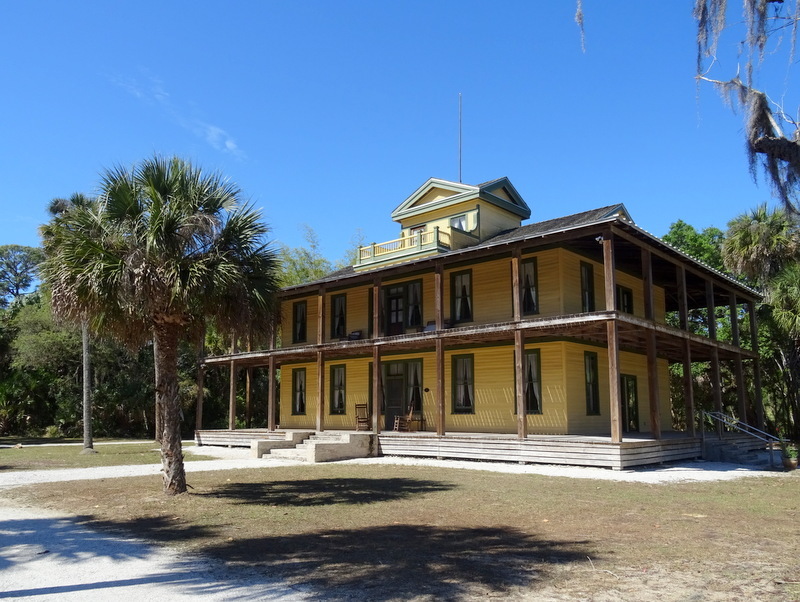 Koreshan State Park is certainly an interesting place full of history. I’m not sure it was so interesting that I would make a return visit, but for a week-long stay in a convenient location with some kooky history thrown in it perfectly fit the bill. We camped there for four days in early March on our way to the Keys. Temps were very comfortable then. Never used the A/C. We actually enjoyed our site, but we just have a 21′ Class B motorhome. You’re right, the sites were pretty rough with the deep sand. A ranger told us it was partially the result of recent upgrades to the power and water at each site where they were dug up. Should get better with use. The thing that surprised us was the bath house. Nice enough once you found it, but it took a jungle walk to get there! Anyway, Koreshan served as the perfect jumping off point for our trips to Delnor Wiggins State Park and other beaches in the area. For the price, I prefer it over the area commercial options. I think we go there just in time for the heat because the previous week in the Keys was about 10 degrees cooler. That does explain the deep sand. Hope no one gets stuck in the meantime! You’re right that it is a good location for visiting the nearby beaches, and as always we also prefer the state parks over private! 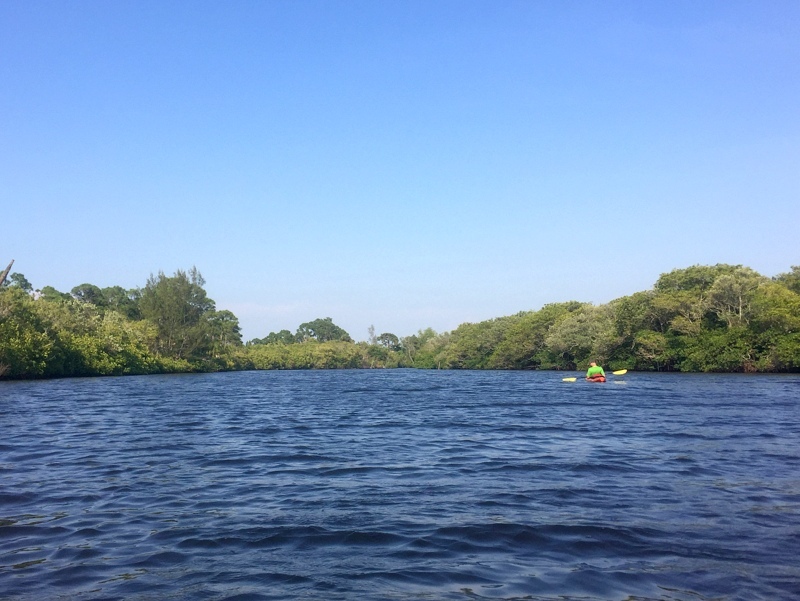 Try kayaking the Silver River near Ocala on your way north. It will renew your faith in non-Keys ‘yaking. It’s a 5-6 mile trip starting at Silver Springs State Park. Birds, wildlife were unbelievable. Wild monkeys too! Sounds lovely. 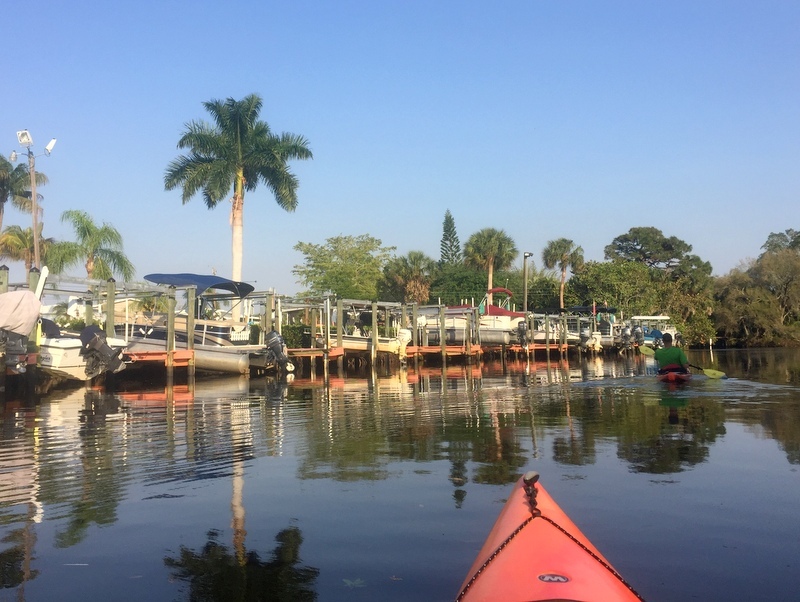 We’ll be missing that part of Florida this time around, but we did kayak at Juniper Springs in that area on our way south in December and loved it! Haha, hilarious post! Loved your history of the Koreshan cult (umm…utopian community). If you head up to Wekiwa Springs, Rainbow Springs, or the Ichetuchnee River it will renew your love of kayaking. Every bit as beautiful as the Keys. Sadly, none of those are on our itinerary as we head north fairly fast over the next week. So much to explore in Florida! This has long been at the top of a short list of places I want to visit in Florida. I love that it has been preserved and is now a state park. I find the history so fascinating. Wonderful pics, thanks so much for sharing. Those sunflowers!!!! It is fascinating! The state park and the volunteers have done an excellent job of preserving it and I read somewhere that they are planning to restore more of the gardens in the future. Definitely worth a visit. We’ve stayed there a couple times and loved it. 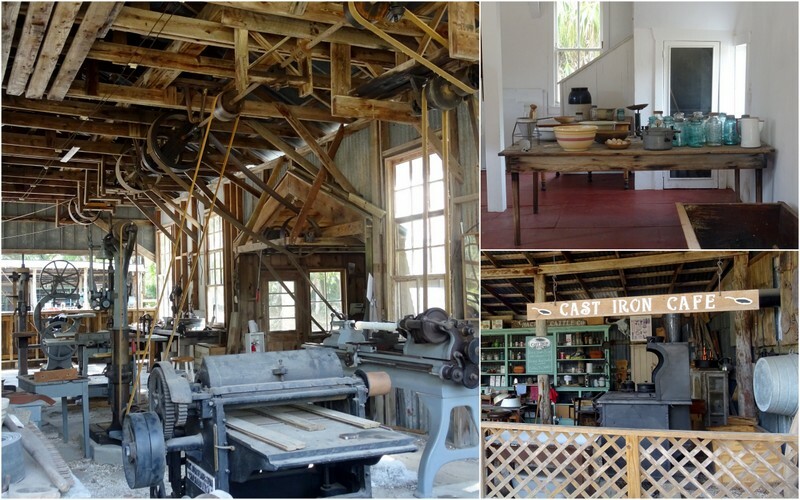 The electrical system in the compound was set up by Thomas Edison. He spent his Winters down the road and he visited often with Firestone. Yes, we watched the video that talked about Edison visiting!